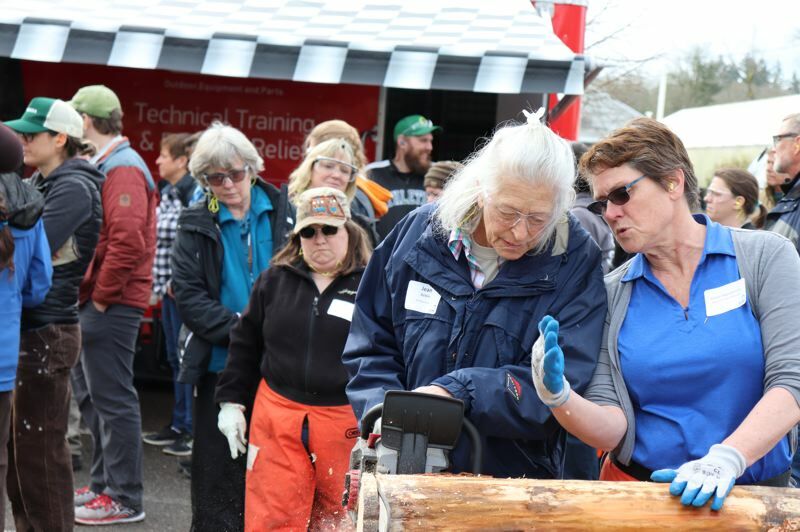 Oregon's largest forestry and natural resource education event of the year brought approximately 800 private woodland owners, instructors and exhibitors together March 23 at Clackamas Community College in Oregon City. "Tree School Clackamas is the largest one-day annual educational event for private woodland owners, family forest owners and professional foresters in the business," said Mike Bondi, OSU Extension's liaison for Clackamas County. "Think of it as a back-to-school day where people come to learn all the latest information about caring for their land and the trees they love." With approximately 6,000 private woodland owners in Clackamas County, interest is high for this annual event, and it fills up quickly. Nearly half of the 650 spots available were claimed on the first day of registration. Tree School Clackamas offered 75 classes this year, taught by OSU faculty and local experts sharing their knowledge with a regional and practical focus. Courses covered forestry topics supporting successful management of woodlands, including tools and techniques, drone use, marketing and business, forest health, weed management, wildlife habitat, forest fungi and more. "This year we offered 21 new classes based on focus group input we received from woodland owners," said Glenn Ahrens, OSU Extension's forester for Clackamas, Marion and Hood River counties. "Including a full day of interactive activities for children ages 6-13 years and a Youth Fire Academy for young adults ages 14-20." Beyond the formal instruction, Tree School has inspired a sense of community, with many friends, neighbors and families traveling from different states to bond with others in their industry and share personal experiences, according to Rose Clarke, Tree School coordinator. "This event is like Disneyland to them," Clarke said. "Complete strangers bond over growing Willamette Valley pine and root rot. They love their forests, and it's obvious they devote a lot of thought, time and energy to maintaining them." Tree School Clackamas 2020 will be held next March 21 and will mark the 30-year anniversary of Tree School in Clackamas.